New YORK/WASHINGTON: US President Donald Trump's longtime ally Roger Stone was arrested on Friday on charges of obstruction, witness tampering and making false statements related to the release of stolen Democratic Party emails during the 2016 presidential campaign. Stone, an adviser to Trump in his unorthodox bid for the White House, was arrested in the predawn darkness on Friday and scheduled to appear at the federal courthouse in Fort Lauderdale, Florida, at 11 a.m. EST (1600 GMT). The indictment ends months of speculation that Stone would be charged as part of Special Counsel Robert Mueller's probe into Russia's alleged interference in the 2016 campaign to help Trump defeat Hillary Clinton. Grant Smith, Stone's lawyer, did not immediately respond to a request for comment. Stone has previously denied any wrongdoing. WikiLeaks, which is referred to as "Organization 1" in the indictment, did not respond to a request for comment. The charging documents included new details about the activities of Trump aides, including an incident in which a senior campaign official "was directed to contact Stone about any additional releases and what other damaging information Organization 1 had regarding the Clinton Campaign." "The indictment was not unexpected, but it is still significant because it alleges coordination between the Trump Campaign and WikiLeaks," said Barbara McQuade, a former US Attorney for the Eastern District of Michigan. Stone was charged with one count of obstruction of an official proceeding, five counts of making false statements and one count of witness tampering, according to the indictment. The charges relate to Stone's testimony before congressional committees probing Russian meddling in the 2016 presidential election. "This has been rumored to be coming down for several months, so Roger and his legal team are ready to fight these charges in court," Caputo told Reuters. "They can't prove collusion or conspiracy because it doesn't exist, so they're going after him personally. He will be vindicated." A self-described "agent provocateur" of the American right and Republican veteran of Washington and New York City politics, Stone has a tattoo of the face of late president Richard Nixon on his back. His political career began with the Nixon presidential campaign in 1972. The indictment described in detail numerous emails and text messages "during the 2016 campaign in which he discussed Organization 1, its head, and its possession of hacked emails." Stone still possessed many of those communications when he gave false testimony about them, prosecutors said in the indictment. Senator Mark Warner, the top Democrat on the Senate Intelligence Committee, had no immediate comment, according to an aide. 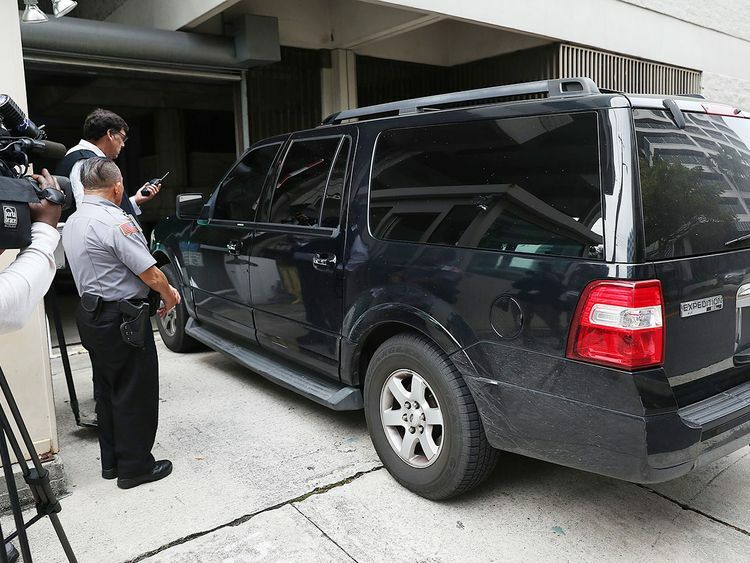 Representatives for the heads of the two congressional committees that interviewed Stone could not be immediately reached. US prosecutors pointed to two other individuals, including an unnamed political commentator with an online publication who regularly spoke with Trump throughout the campaign, a description that matches Jerome Corsi. They also described a radio host who Stone had known for more than 10 years, which matches the profile of Randy Credico. Corsi declined to comment and Credico did not immediately respond to request for comment. White House officials could not be immediately reached. Roger Stone, a longtime ally of US President Donald Trump, allegedly called an associate "a rat," threatened his dog and invoked "The Godfather" Mafia movies in a bid to stop him from testifying in an investigation run by US Special Counsel Robert Mueller's office, according to court papers unsealed on Friday. Stone was arrested in Florida on Friday and accused of lying to congressional investigators and tampering with a witness. Prosecutors accuse the political provocateur of threatening an associate who hosted a radio program in an apparent attempt to stop the unnamed person from testifying to investigators probing Russian influence in the 2016 US presidential election. The 24-page indictment is peppered with alleged threats, some with typos or grammatical errors, from Stone to the unnamed associate: "You are a rat. A stoolie. You backstab your friends-run your mouth my lawyers are dying Rip you to shreds," Stone told the person in an April 9 email. He also threatened to "take that dog away from you," and said, "I am so ready. Let's get it on. Prepare to die (expletive)." "If you testify you're a fool. Because of tromp I could never get away with a certain (sic) my Fifth Amendment rights but you can. I guarantee you you are the one who gets indicted for perjury if you're stupid enough to testify," Stone told the person in a Dec. 1, 2017, text message. "You are so full of (expletive). You got nothing. Keep running your mouth and I'll file a bar complaint against your friend," Stone wrote in a May 21 email. "If you testify, you're a fool," Roger Stone told an associate in late 2017 as House investigators scheduled an appearance in the sprawling probe of Russian election meddling. Instead, Stone told his ally he should pull a "Frank Pentangeli." It was a reference to "The Godfather: Part II," federal prosecutors pointed out in their indictment of Stone on Friday. 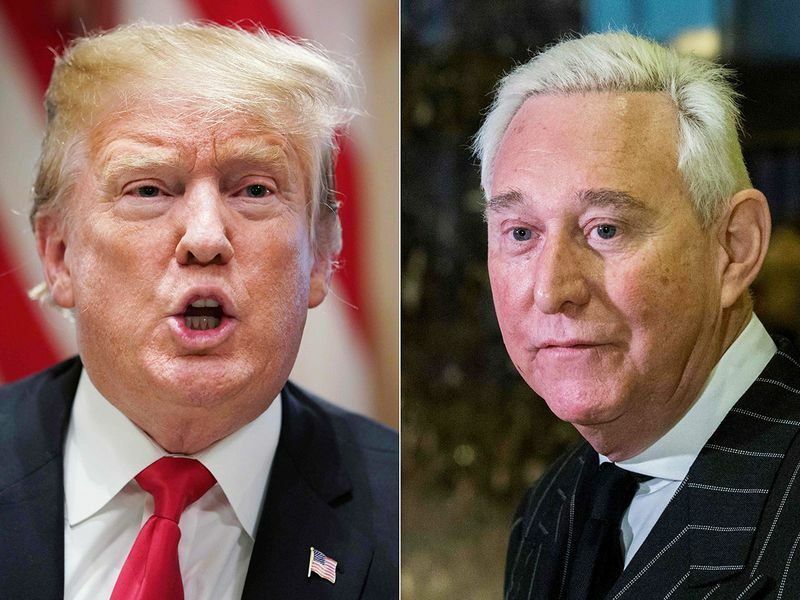 They said Stone - a longtime ally of Donald Trump - was attempting to persuade a friend to lie to avoid contradicting him. The friend appears to be Randy Credico, a comedian and radio host. Both men are supporters of Wikileaks, which published hacked emails from the Democratic National Committee to help Trump win the election. 'I guarantee you you are the one who gets indicted for perjury if you're stupid enough to testify,' Stone told Credico, according to the indictment. In December 2017, Credico told the House he would plead the Fifth, just days before he was set to appear. Credico ultimately appeared before Special Counsel Robert Mueller's grand jury in September 2018. It's unclear what will happen to the two men now. Stone was arrested Friday in Florida. But we all know how Pentangeli ended up: he slit his wrists in prison, after a visit from Michael Corleone's consiglieri.